Has Nintendo Abandoned The Wii U? In the midst of January, Sony revealed that PlayStation 4 sales had surpassed over eighteen million units, and in November, Microsoft's Xbox One became known as the best-selling console in both the United States, and the United Kingdom. However, the Wii U has been struggling for quite sometime to simply sell over ten million units. It's no secret that the Wii U has not been extraordinary prosperous in sales. After watching Nintendo's E3 press conference, it was more than obvious that Nintendo is primarily focusing on their more lucrative product, the 3DS. Is Nintendo gradually forsaking the Wii U? We are approximately seven months into 2015, and only a handful of successful titles have been developed for this unprofitable platform. Games such as Splatoon, and even Mario Party 10 have been entertaining gamers in the recent months, but what does Nintendo plan on doing next? Activision recently announced that Call of Duty: Black Ops 3 will not be available on the Wii U. In a more recent interview with Polygon, Satoru Iwata, Nintendo's CEO, declared that game developers should begin focusing more towards creating content for the NX, rather than focusing on the Wii U. Let's be honest, Nintendo disappointed the majority of us at this year's E3 showcasing. 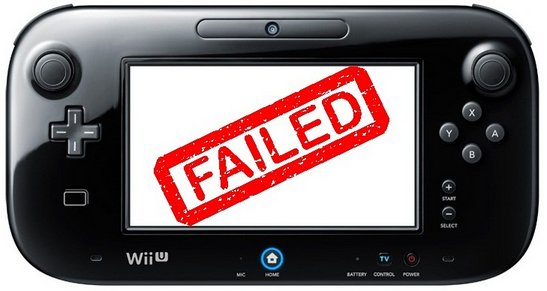 Nintendo failed to announce any upcoming titles for the Wii U, excluding Xenoblade Charonicles X and Mario Maker. Many of us, including myself, were hopping for an announcement regarding a new Zelda, or at least something more enthralling than Mario Maker. Little information is actually known regarding Nintendo's upcoming console, the NX, however it is quite apparent that we will most likely see Nintendo shifting focus towards their new platform soon. In early June, an undisclosed Nintendo representative denied claims that it's next console will feature the ability to run on Android devices. Nikkei, an acknowledged Japanese newspaper, reported earlier in the year that the NX can supposedly run a version of Google's operating system known as Android. So, how is this news relevant? Well, this is not the first time that Nintendo has denied a rumor, that would later become factual. For instance in 2012, Nikkei reported that Nintendo was developing a much bigger and more convenient version of the 3DS. Nintendo denied this statement, yet in February 2015, the 3DS XL found its way to stores around the world. This scenario has occurred on several other occasions too. Has Nintendo began to abandon the Wii U?